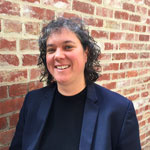 Regional Arts Victoria is delighted to welcome Artlands Victoria Creative Producer Ros Abercrombie to the role of Executive Director of national peak body Regional Arts Australia. The Chair of Regional Arts Australia (RAA), Simon Spain today announced the appointment of Ros Abercrombie as the new Executive Director for the organisation. Ros will commence in the role next month. “We are delighted to welcome Ros to this important role. Ros has an impressive record. She is an inspiring creative leader who has worked incredibly successfully with a wide range of community groups over an extensive career. Her work as a producer, a creative director and as a catalyst for community engagement signals a beginning of a new era for RAA, and the Board is looking forward to supporting Ros and her team,” Simon said. Ros has been working in the arts industry for over 20 years with experience across strategic design, creative direction, organisational modelling, identity and brand development and management. She recently filled the role of Director and Creative Producer for Artlands Victoria in Bendigo last month where her commitment to First Nations engagement with the Dja Dja Wurrung community underscored the event. Ros succeeds John Oster who has led the organisation for the past four years. “I am excited about commencing this role and am looking forward to working collaboratively to advocate and support the long-term regional sustainability for the rural and regional arts and creative communities in which RAA works,” Ros said. Ros Abercrombie commences as Executive Director of Regional Arts Australia on Monday 10 December 2018.